Come enjoy the cool clear blue waters of the Florida Keys. The weather is great, lobster season is open.. 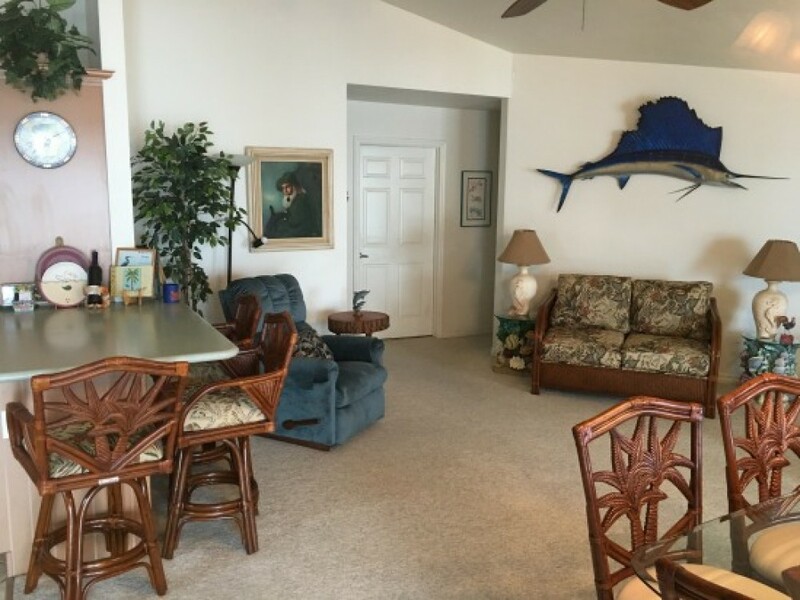 This is a spacious oceanfront 4/2 home with a heated pool/spa and breathtaking open water views! It is located on beautiful Ramrod Key 110 ft concrete seawall facing the priceless Atlantic ocean teaming with lobsters, parrot fish, queen angels, snappers, and many others. .. A private boat slip cuts into the backyard.... With nearly 25 feet of deep water dockage and you will have quick access to the Atlantic and the Gulf for world-class boating, fishing, lobstering, diving, and snorkeling. The house is located on the Atlantic side minutes to Niles Channel which is one of the deepest passages between the Atlantic and the Gulf in the lower keys. You can even swim and snorkel in the clear waters right off your front yard. Looe Key Marine Sanctuary, Big Pine Key, home of the Key Deer, and Bahia Honda State Park, are all just minutes away. Dive shops, marinas, boat rentals, banks, gas stations, groceries, and restaurants are also close by. Famous for its gourmet dining establishments, exciting night life and hundreds of unique shops, historic Key West is just 30 minutes away. Master bedroom has King bed, 2nd bedroom has 2 twin beds,3rd bedroom has queen bed,4th bedroom day trundle bed converts to king bed. The kitchen is fully equipped. Cable TV with DVD and VCR. You have over 200 movies to select from our library. Large screened patio overlooking open water view. Bicycles and kayaks, and canoe are provided. Boat rental is available. Three miles to Big Pine Key for groceries and pharmacy. Restaurants nearby include Boondocks with its mini golf course, the Looe Key Tiki Bar, Square Grouper, and Parrotdise and the FAMOUS NO NAME PUB and the #1 Resort in the Keys, Little Plam Island. Fishing, Snorkeling/Diving on famous Looe Key, Kayaking, Waterskiing, Swimming. Tennis and Golf nearby. Only 27 miles to exciting Key West with museums, shopping, movies, and theatre. Fitness center near.Only 25 miles to Marathon. Charter for fishing and snorkeling or pleasure is available.